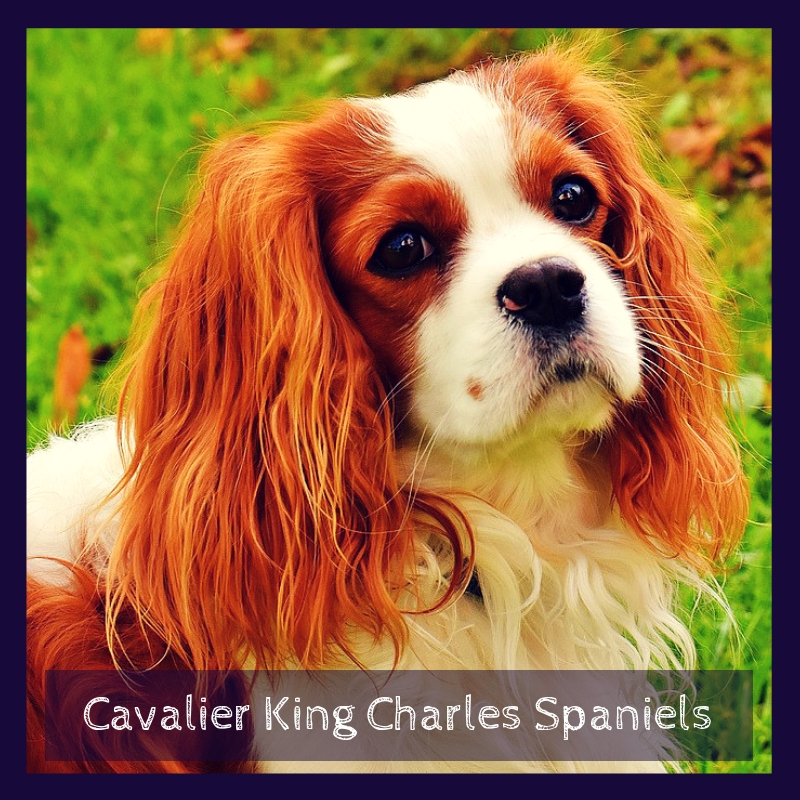 Cavalier King Charles Spaniels are considered one of the largest of the toy breeds. They may be the smaller spaniel breeds but, like the larger spaniel breeds, love flushing out birds. Cavaliers, also known as the English Toy Spaniel, have become increasingly popular because of their happy, friendly, easygoing, and trustful nature. The ideal home for cavaliers is one that always has somebody to follow around. They are smart and highly trainable. The Cavaliers have four coat colors: tan (tan and black), ruby (solid red), white and chestnut (Blenheim), and tricolor (tan/black/white). The outstanding feature of the Cavaliers is its medium-length silky, wavy, and smooth coat that feathers along on the tail, ears, chest, legs, and feet. They are considered as “lap dogs” because they can contentedly lie on the lap or on the side of his human for a long time. Their gentle expressions brought about by the cushioning beneath their eyes is a unique feature that makes the Cavaliers one of the most sought-after toy breeds. The English Toy Spaniel needs to be fed 2–3 times a day with high-quality food containing unprocessed and whole fruits, vegetables, and grains, as well as protein meal or protein. The high-quality foods may be quite expensive but the nutrition they give to the cavalier is the best way to keep them healthy for their entire lifetime. The less filler quality of higher quality foods means less feeding with your cavalier gaining better nutrition. Lesser quality foods may cost less but they also contain cheap fillers like corn, artificial preservatives and colors, food fragments, sweeteners, and worse, a toxic substance known as propylene glycol. The reason manufacturers add propylene glycol to dog food is to make it look moist and chewy. However, it does more harm than good and feeding your cavalier with lesser quality foods are not helping them achieve optimum health. The medium-length, silky, and wavy coat of the cavalier may look high-maintenance but is actually quite manageable to maintain. The coat can be kept tangle-free and shiny by brushing it several times per week. Brushing removes loose hair which can dull the coat’s appearance. Frequent bathing is a must if the cavalier is exposed to active and outdoorsy activities. If confined to the home, bathing can be on an as-needed basis. The coat does not require trims. However, trimming depends on the owner’s preference. Owners who want neater looking feet can opt for trimming the hairs on the feet. Infection and redness in the ears are some of the common conditions cavaliers’ experience. This is because of their long ears. This means a weekly ear check for symptoms. A vet can recommend a weekly solution to use to keep bacteria away. Bad breath can be prevented with weekly teeth brushing. Grooming a cavalier should start at puppy stage. This is to make them adjust to the ritual to eventually become routine as they grow into adults. Brushing the coat is easier with cavaliers since they can sit contentedly on your lap for long periods without fretting. Cavaliers may be small but they are also extremely active! Regular exercise is what they need to keep them healthy and happy. Play-at-home bonding time or walks on a leash daily are the simple exercise needs for cavaliers. Hiking enthusiast owners have found their cavalier a great companion during hiking treks. Just remember to gradually build up the stamina of this small breed before taking him out on long hikes. Cavaliers, like any other dog, can suffer from heat stroke. A bottle of water is the essential thing to have when exercising the cavalier during hot days and away from his home ground. Cavaliers are intelligent and highly trainable. The best time to train them is during the early months of their life. The reward-based training works best for the Cavaliers. A lot of owners find it tough to house train toy breeds such as cavaliers. Patience, discipline, firmness, and a lot of effort towards potty training are eventually rewarded. House training a cavalier puppy means putting him on a regular potty time. Setting limits to his freedom inside the home until he becomes reliable will house train him in no time. As mentioned, reward-based training is the best to use for cavaliers. The flexible and adaptable disposition of this small dog makes him one of the highly trainable toy dog breeds. Yes, definitely. 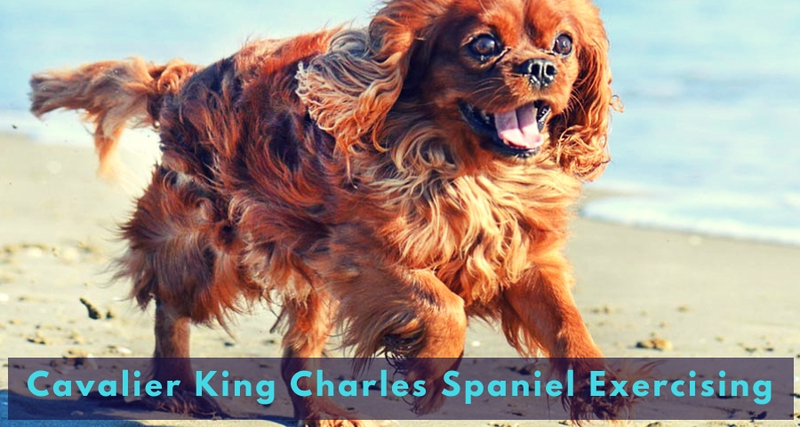 The happy, energetic, calm, and friendly nature of these toy spaniels make it one of the best dog breeds to register as an ESA. Their small size and well-adjusted personality make them an ideal companion for all age groups, especially children. Do Cavaliers Have Health Issues? The average lifespan of a cavalier is 9 to 14 years and, unfortunately, have a lot of health risks, such as heart murmurs, heart disease, mitral valve disease, hearing loss, and central neuropathic pain. However, this should not be a deterrent from owning these lovable toy spaniels. All breeds have their share of health risks which does not make the cavalier unique. Prevention and better preparation are still keys to maintain optimum health to the cavalier. Deafness is a rare inborn quality in cavaliers. Aging can be a contributing factor for cavaliers to become deaf. It has been found that cavaliers between the ages of 6–8 years old can become entirely deaf. Watch out for symptoms like unresponsiveness to sounds and noise. 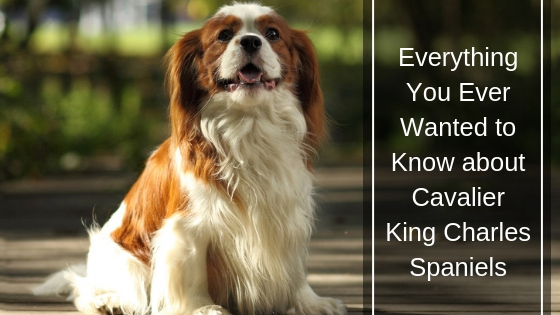 Cavaliers are prone to epileptic seizures. The most common kind of seizure manifested by cavaliers is called the “Fly Catcher’s Syndrome.” A cavalier suffering from this syndrome will make lunging movements as if catching flies. Other symptoms include foaming at the mouth, twitching, drooling, collapsing, tongue chewing, and stiffening. This condition can be treated with prescribed drugs. This medical condition can be fairly common with Cavaliers. Hip dysplasia is best diagnosed during the early months of life. X-rays can provide the answer if a cavalier shows symptoms of lameness, a lack of interest in physical activities, shows difficulty to get up, and stiff back legs. Cavaliers are hardy, friendly, happy, easy-going, and flexible. He can laze around or he can be active at a moment’s notice. His good looks and the lustrous coat make the Cavaliers one of the standouts of the toy dog breeds.